Want to amp up your productivity? Meet TextExpander – a shortcut tool that saves time with custom keyboard shortcuts for frequently used text. For a limited time, you can pick up a one-year single user plan for just $19.98 on TNW Deals. Efficiency is key in our busy lives, and TextExpander delivers time-saving shortcuts for oft-used text in emails, document files, and web searches. With TextExpander’s help, you’ll type abbreviations that expand to whole paragraphs, images, and more with ease. Breeze through those tedious forms requiring your address, email, phone, and fax numbers. Just add them to your snippet library, and call them up with a few easy keystrokes. And custom expandable abbreviations are available for email signatures, standard greetings, formatted text, and the like. You can finally be free of those pesky typos you make most, as you’ll have edited snippets ready to deploy at a moment’s notice. And you’ll be able to save your snippets to the cloud, where they’ll be readily accessible on any device. 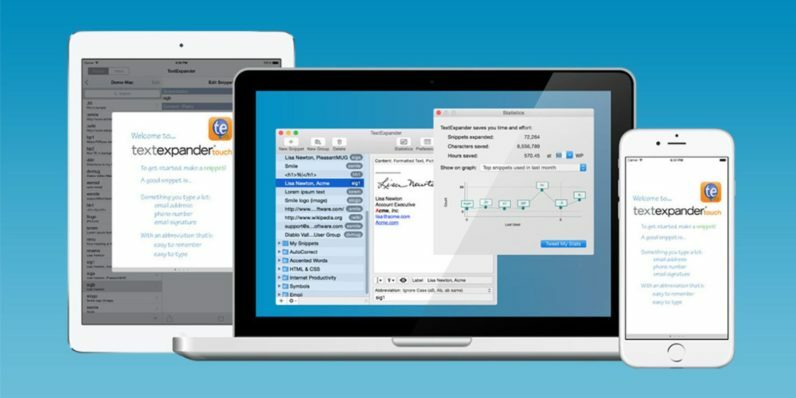 This TextExpander offer is available in two user options: Single ($19.98) and Team ($47.76). For a limited time only, you can take 60 percent for both on TNW Deals.